Still looking for a summer read? Rev. 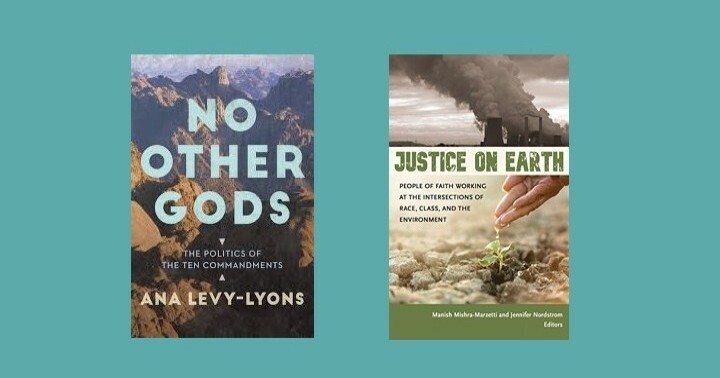 Levy-Lyons is also author of No Other Gods: The Politics of the Ten Commandments, the summer adult religious education read from the Church of the Larger Fellowship. Or consider the new UUA Common Read: Justice on Earth: People of Faith Working at the Intersections of Race, Class, and the Environment by Manish Mishra-Marzetti & Jennifer Nordstrom. UUA Common Reads tend to be powerful statements about what’s happening in our larger world and close to home.